Harper Beckham is better dressed than all of us. Fact. The daughter of Victoria and David Beckham has a wardrobe stuffed with Burberry, Marc Jacobs, Gucci and Chloe and she wears Stella McCartney to micro-scoot to ballet class (her preferred mode of transport, because she’s still only four-years-old). And it turns out that even Harper’s mother – who has built a globally influential fashion empire from scratch – is in awe of her daughter’s impeccable style. During New York Fashion Week, VB learnt that Harper has a New York Times fashion blog dedicated to her personal stye and confessed to being unsurprised because Harper is ‘chic’. And it’s always perfectly pitched – case in point: Harper’s outfit for her mother’s recent fashion week presentation in New York. Harper wore all black (always elegant) and paired a lightweight knit with a textured skirt and patent boots. Her coat – it was caped-shoulderd and military-style with a flash of red at the collar – was also on-point. 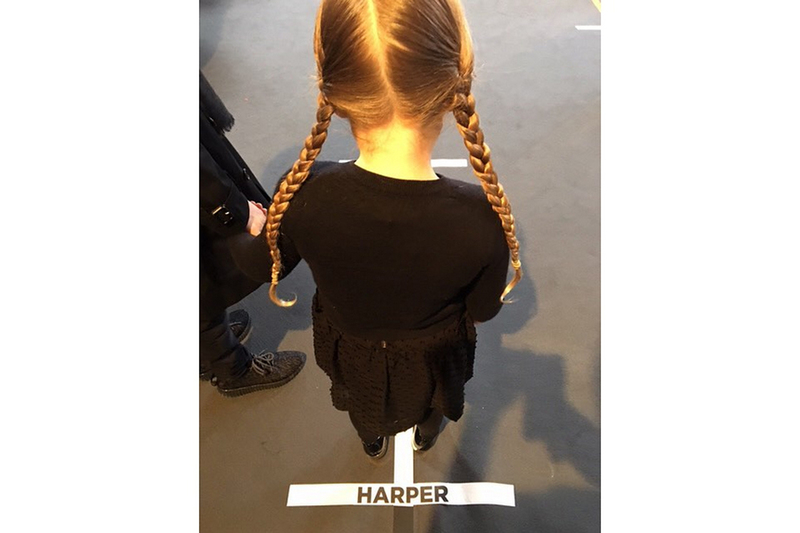 Harper’s of-the-moment braids completed the look. Uh huh, we’re picking up fashion pointers from a four-year-old, and we’re proud. So what’s the tiny fashion influencer’s favourite piece of clothing? ‘More than anything, she loves her football jersey’ added Victoria during the interview. Yup, Harper is the coolest.